With its mahogany thinline body, the Fender Exotic Series American Elite Mahogany Telecaster Thinline electric guitar is a tone-packed departure from a traditional Tele — and with a limited run of only 300 worldwide, it won't last long. This Exotic Series Tele uses Honduran mahogany retrieved from the aftermath of Hurricane Mitch — a worthy backstory for any collector. For players, its combination of a ShawBucker humbucker at the neck and a 4th Gen Noiseless single-coil pickup at the bridge is the perfect pair for exploring this guitar's wide-ranging tonality. 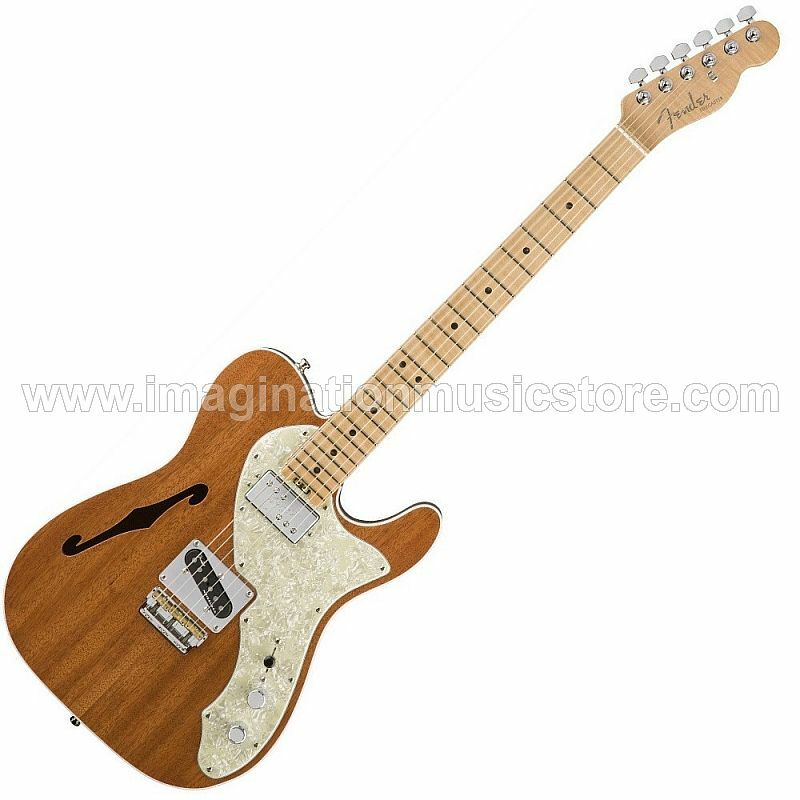 Act fast to add the Fender Exotic Series American Elite Mahogany Telecaster Thinline to your Fender collection. Fender is always looking for alternative wood sources and seized the opportunity to rescue some fine Honduran mahogany that had been cleared from the aftermath of Hurricane Mitch. Only 300 Exotic Series American Elite Mahogany Telecaster Thinline guitars will be available worldwide, with less than 130 available for sale in the USA. This guitar's master tone control also toggles Fender's S-1 switching system — in this case splitting the ShawBucker humbucking pickup at the neck position. Disengaged, you get the full, woody sound of the ShawBucker in humbucking mode. Engage the S-1 switch to split the coils to access spanky single-coil tones. The Exotic Series American Elite Mahogany Telecaster Thinline's semi-hollow body already has a rich, resonant, lively tonality to it, and it's further enhanced by Fender's Elite Suspension Bridge. By using a screwless mount, you'll have better vibrational transfer from the bridge to the top of the guitar, resulting in increased response and sustain. Three brass barrels offer intonation and string-height adjustments.